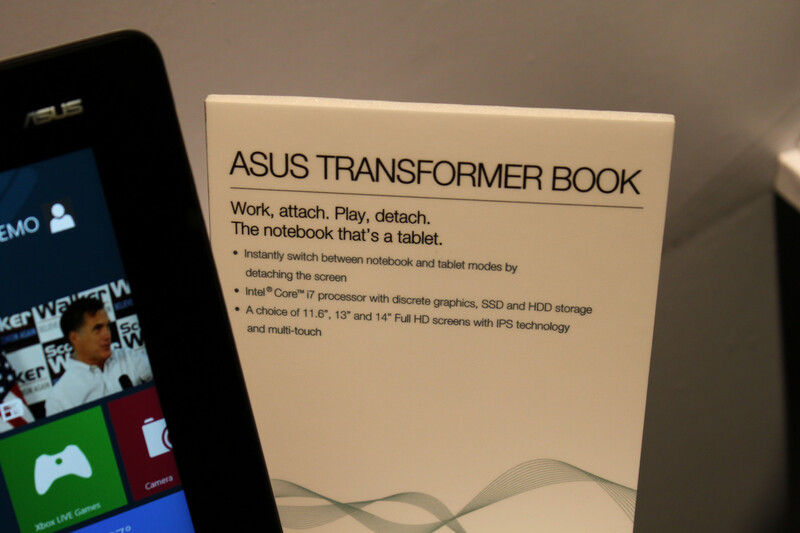 Transformer Book to include detachable display while the Taichi Ultrabook will use dual front-and-back screens. 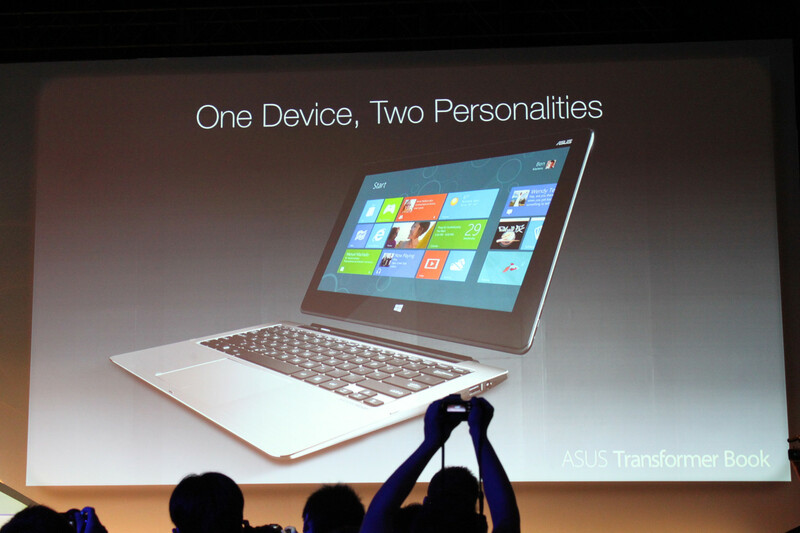 Both will run Windows 8 and can be used as tablets as well. 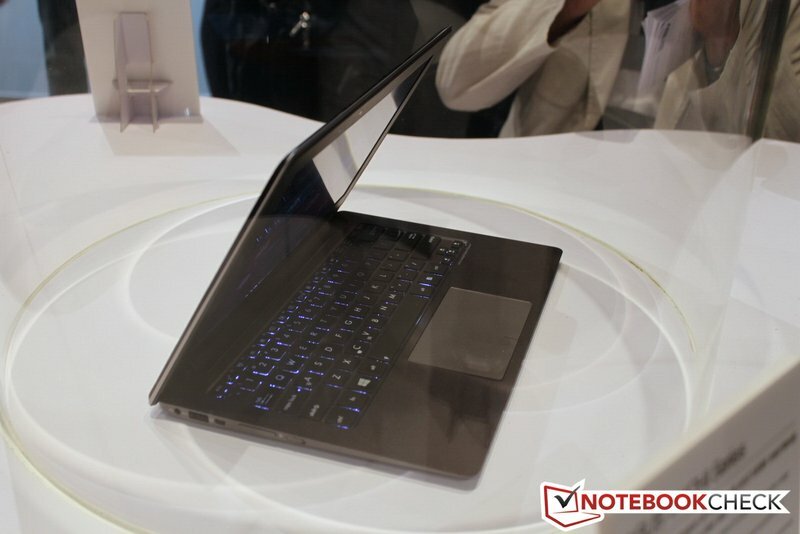 Notebookcheck is live at Computex 2012 and the forecasts for this summer and fall are going to be extra hot if Asus have everything going their way. 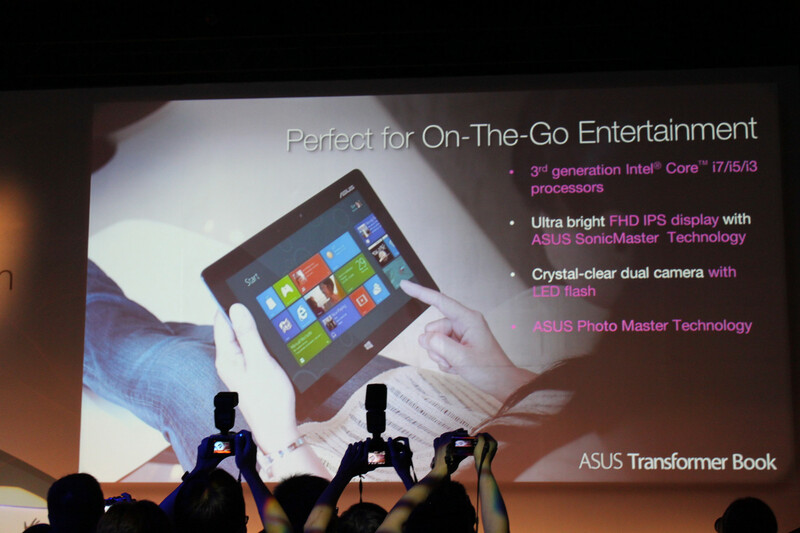 Outside of the duo of Windows 8 tablets, the Asus conference in Taipei today revealed two additional Windows 8 notebooks called the Transformer Book and the Taichi Ultrabook. 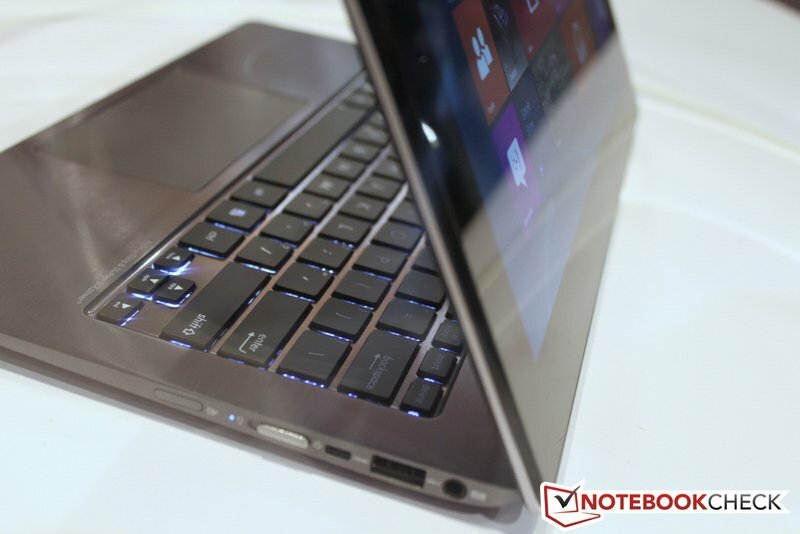 They’re not just any notebooks, however, as the Transformer Book and Taichi Ultrabook will have a detachable display and a front-and-back dual-screen display, respectively. 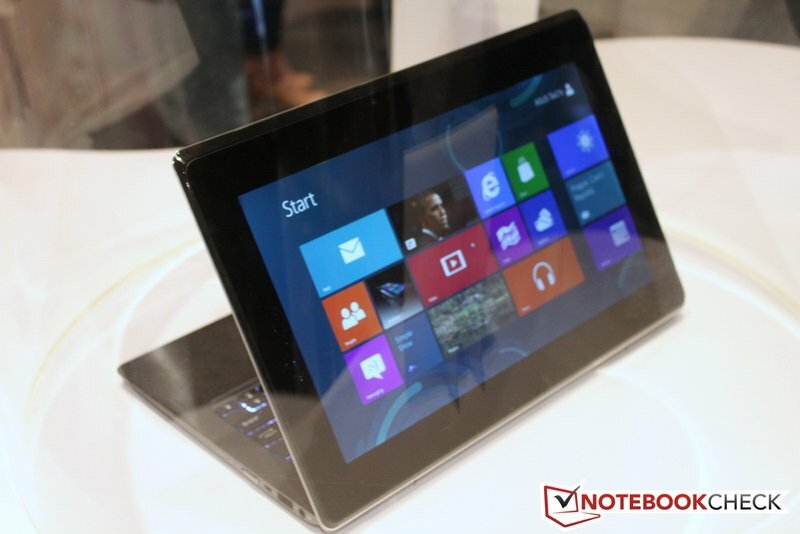 Not only are these refreshing designs, but both notebooks will be able to function as Windows 8 tablets as well. 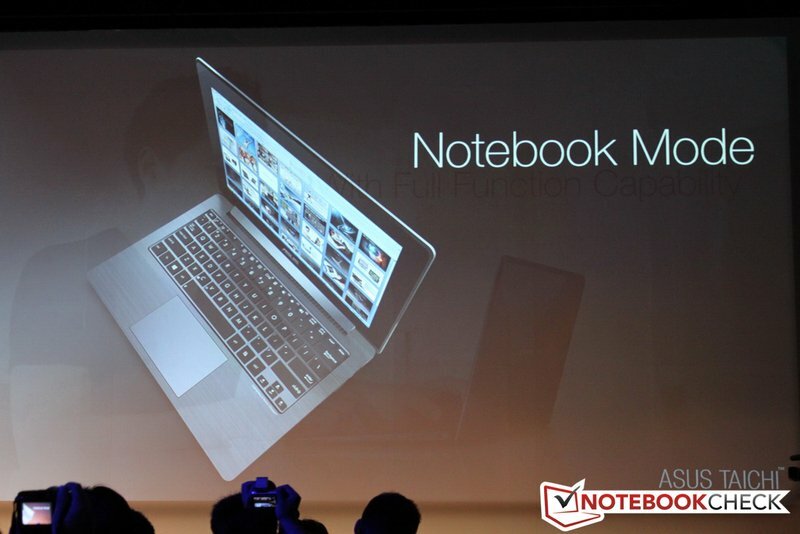 The convertible and mobile Transformer Book will offer CPU options up to a Core i7 with discrete Nvidia GPUs and HDD/SSD storage. 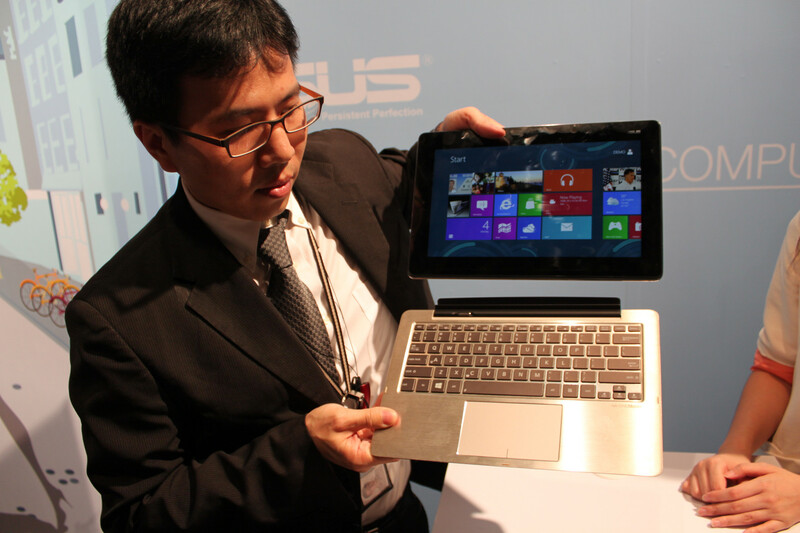 Asus has confirmed multiple screen sizes from 11.6-inches up to 14-inches at Full HD resolution and IPS displays. 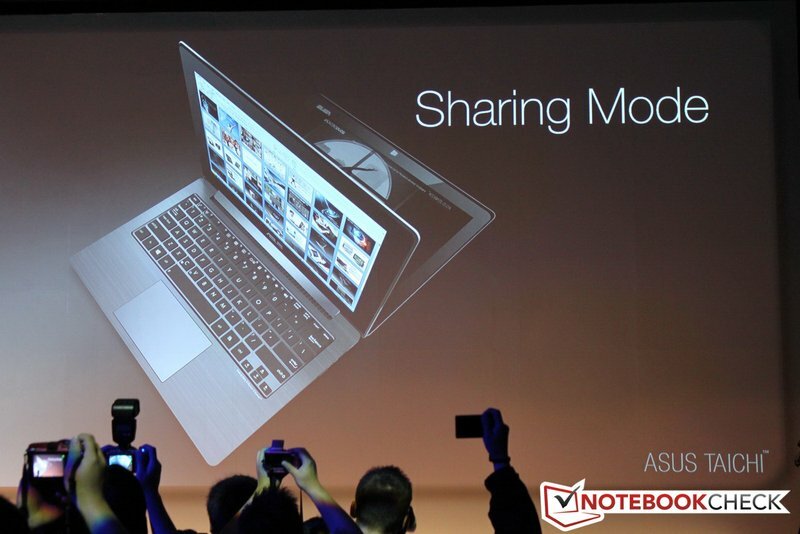 USB 3.0 and a 5MP webcam will both be standard throughout the size range, but Asus has discreetly left out estimated battery life data of the new model. 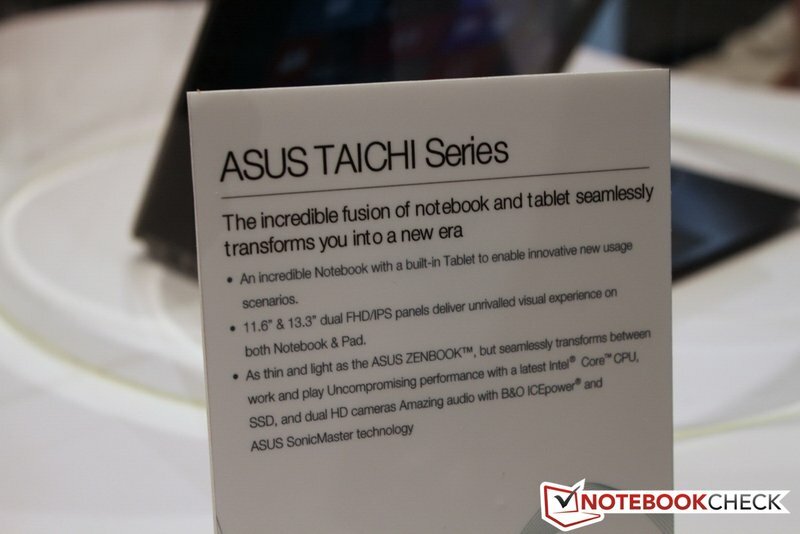 Meanwhile, the one of a kind Taichi Ultrabook really shook up the presentation – and for good reason. 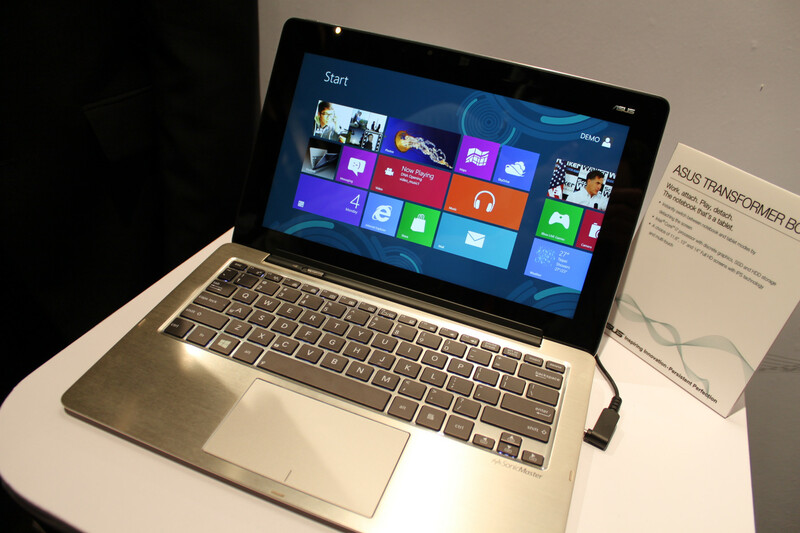 The model on display integrated two full HD IPS displays, one on each side of the notebook lid. 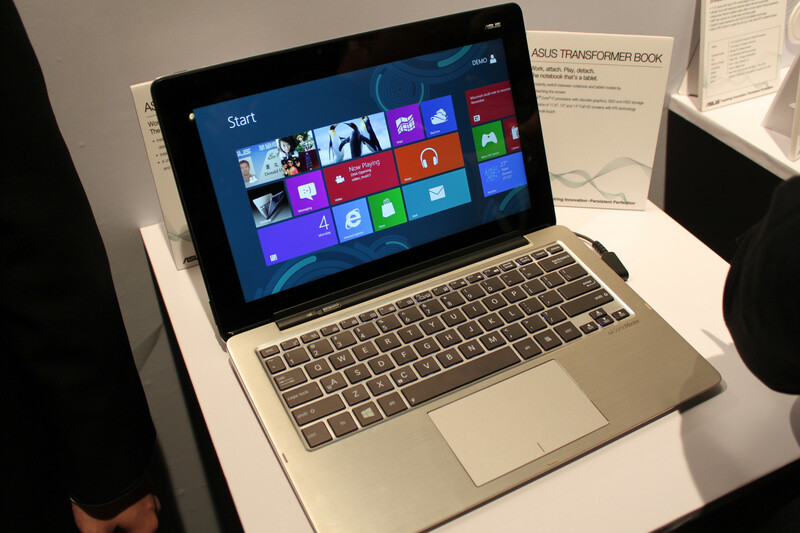 If you thought the Lenovo Yoga was intriguing, then this dual-screen Asus should be right up your alley. 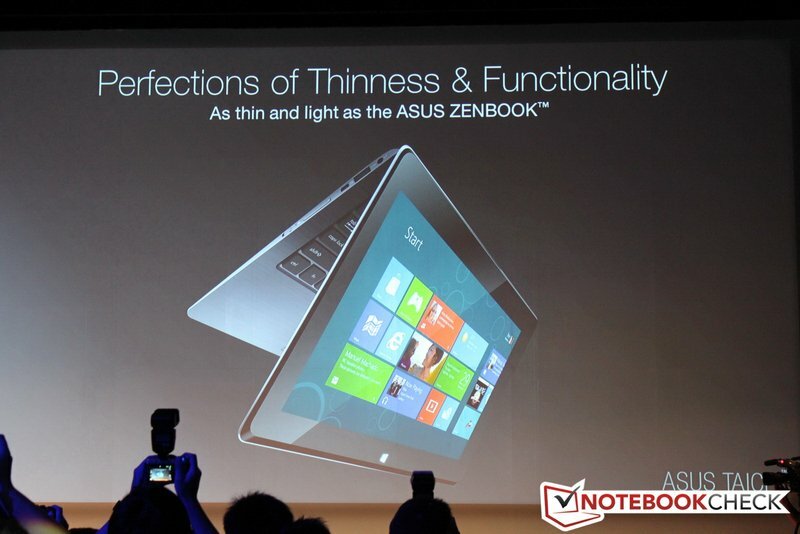 The Taichi is expected to be available in both 11.6-inches and 13.3-inches and be “as thin and light as the Asus Zenbook”. 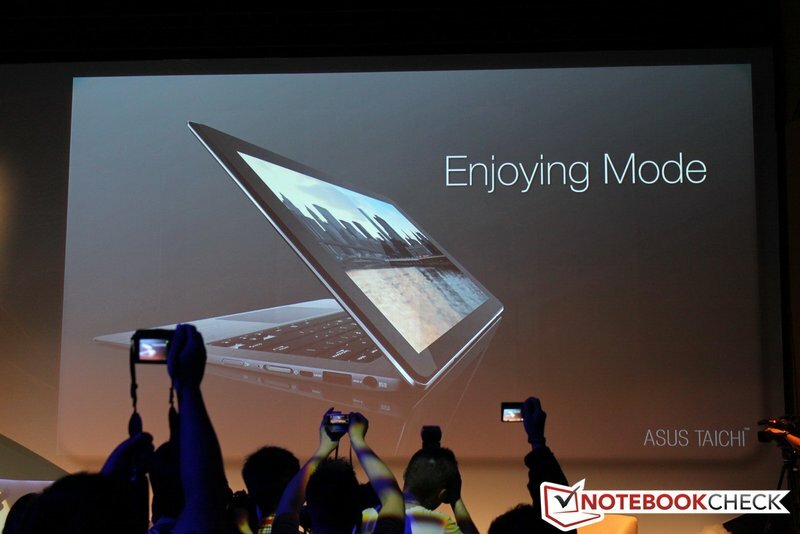 The big question still remains: How much will these convertible notebooks cost? 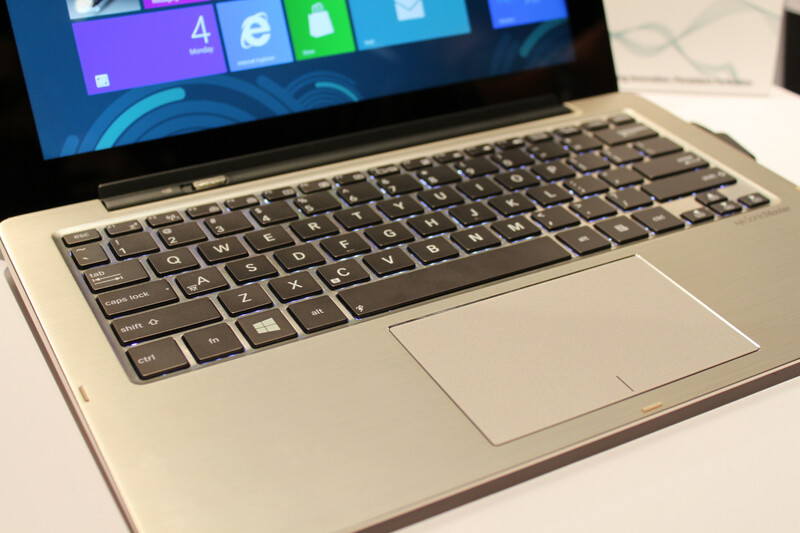 Although remarkable in design and concept, it may prove to be difficult for Asus to successfully market both a notebook with a detachable display and a dual-screen Ultrabook if prices and battery life are subpar. The specs on the products read rather generically so far – IVB CPUs, SSDs, USB 3.0, micro-DVI—it appears that we’ll have to wait until later this year before more concrete details pop up. 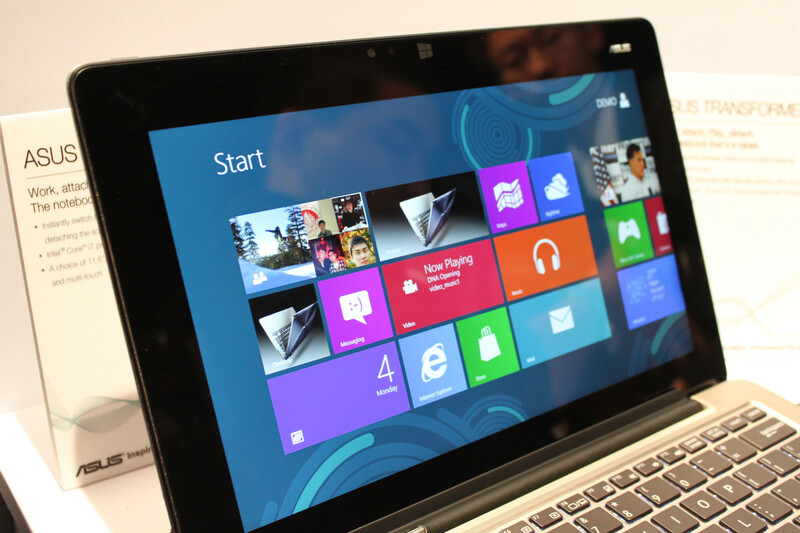 Nonetheless, Asus has definitely gotten us even more excited for Windows 8.